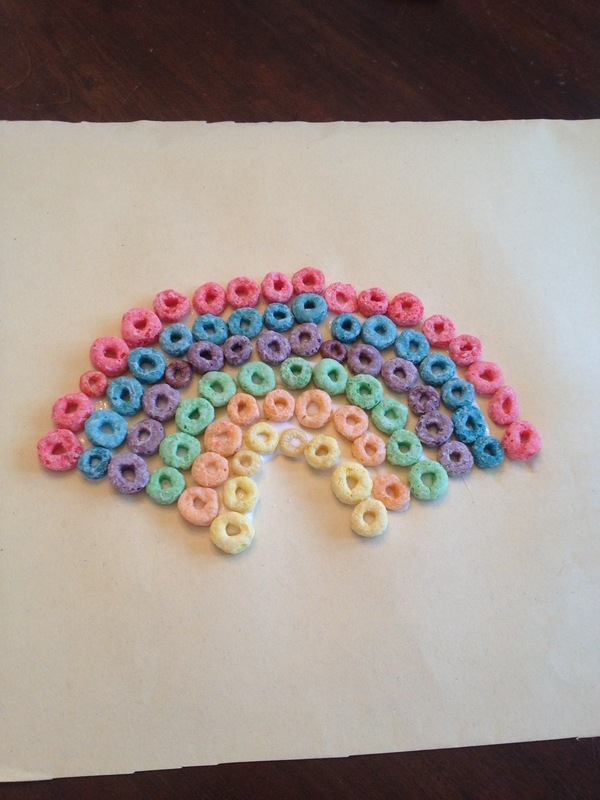 With Saint Patrick’s Day right around the corner, Reagan and I decided to get into the spirt of things by making a delicious rainbow! Color identification and sorting skills are definitely utilized and strengthened throughout this activity. 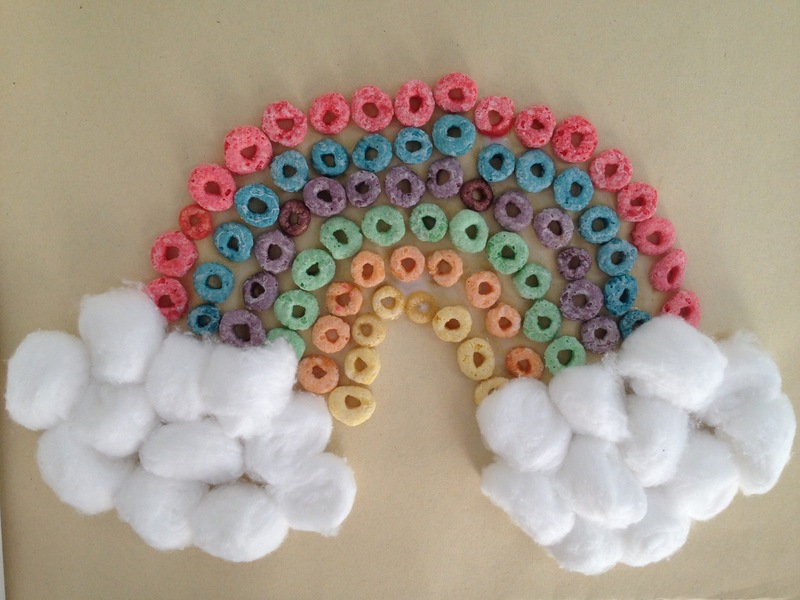 Place each color of fruit loop in front of your child. 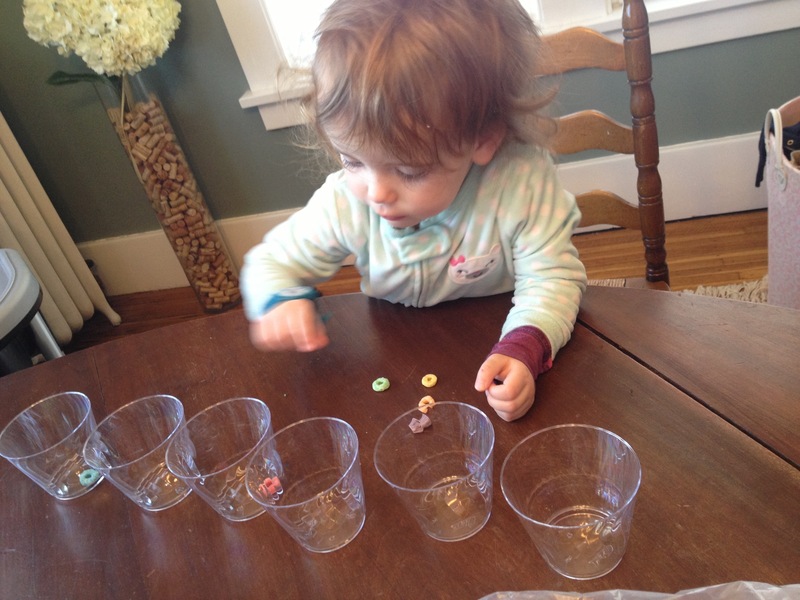 Have your child identify each color and place each different colored fruit loop into its own cup. 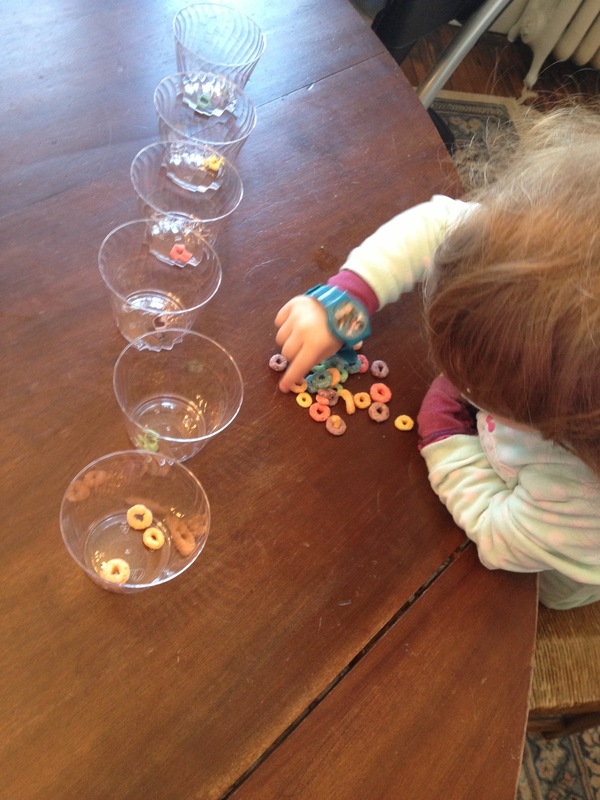 Place a handful of fruit loops in front of your child and have them sort the loops into corresponding cups. 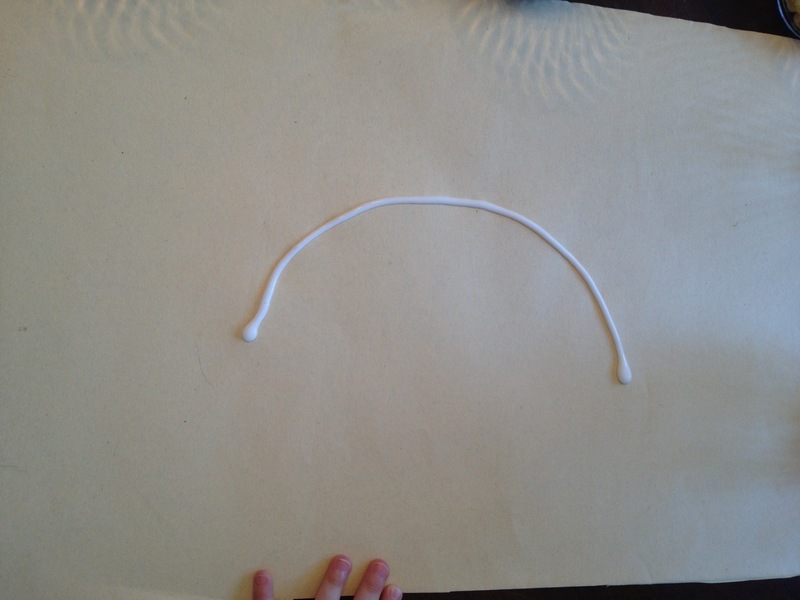 Draw an arch with the glue. 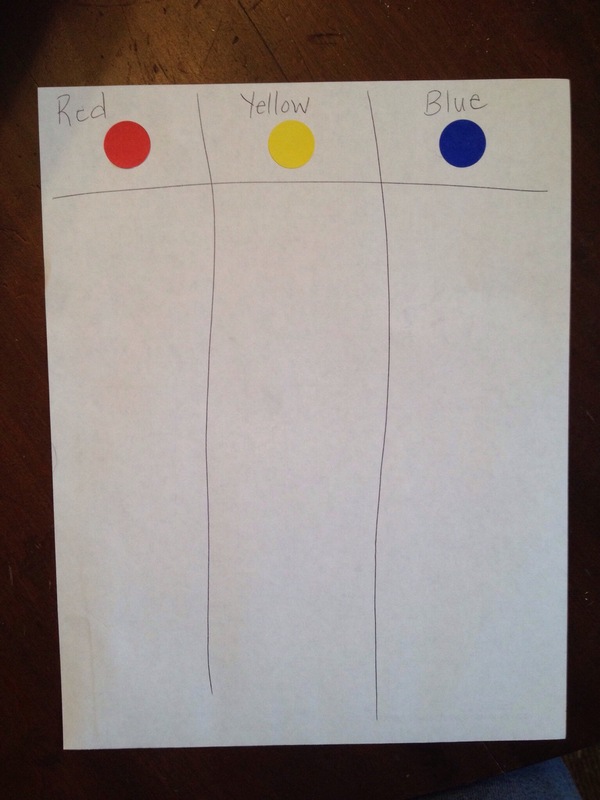 Allow your child to choose the color that they would like to use first. 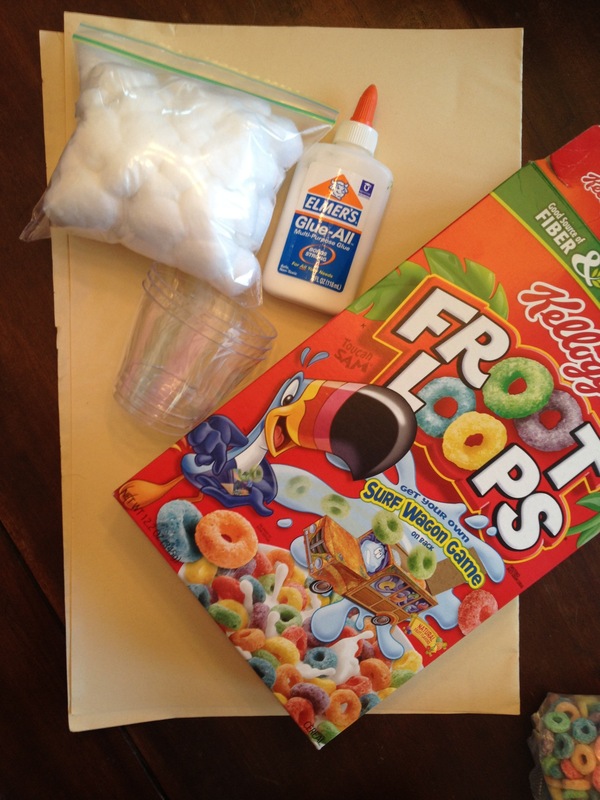 Model how to place the fruit loops onto the glue. After the first arch color is done, continue underneath until all colors are used. 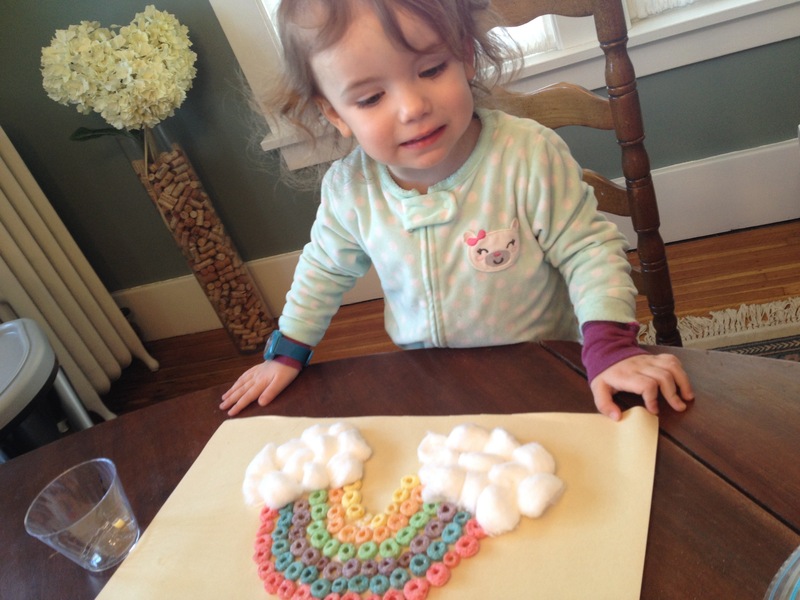 Using the glue, swirl a cloud of glue at the bottom of each side of your child’s rainbow. Model how to stick the white cotton ball to the glue. 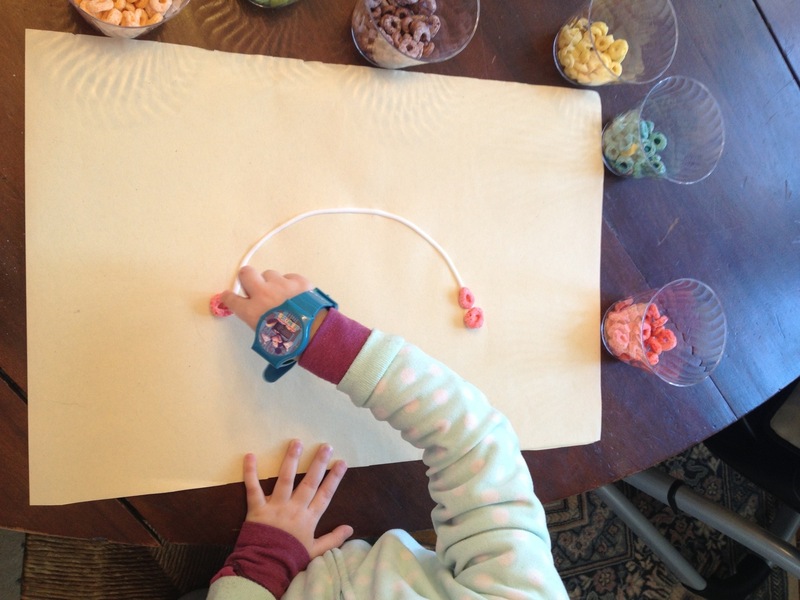 The simplest activities can be used to strengthen such important skills! In an effort to be more organized for you, our reader, you can expect to find something to do with your kiddo on Mondays when you visit! 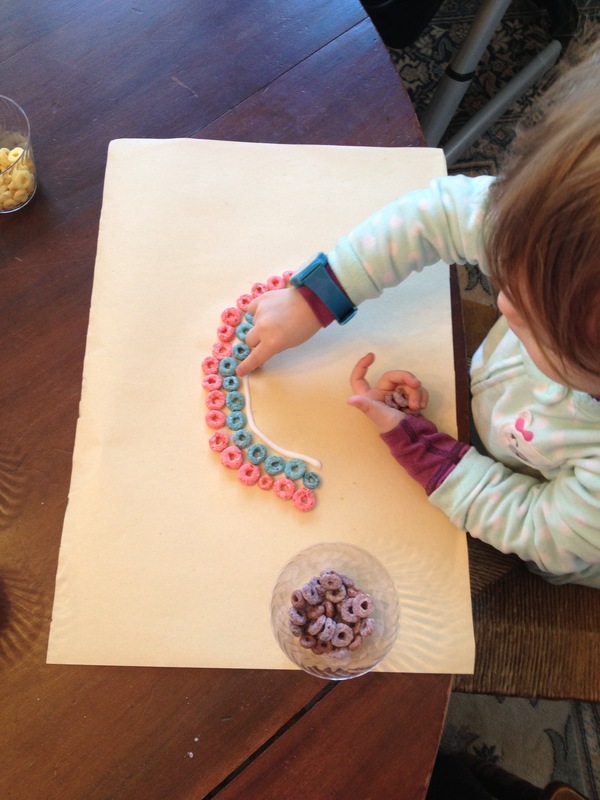 Sorting activities strengthen a child’s logical-mathematical intelligence. In an effort to build on what Reagan already knows; removing stickers and pressing down firmly for stamps to work efficiently. 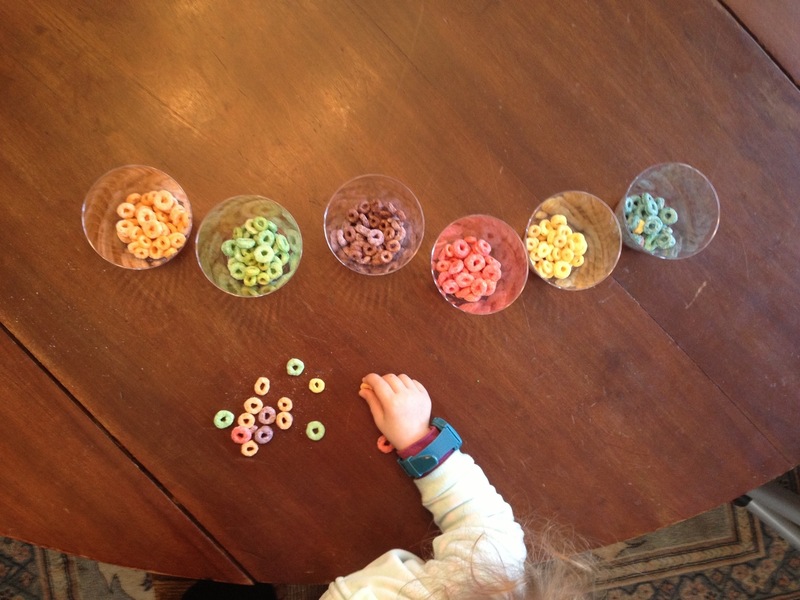 And to strengthen weaker skills; color identification and sorting. 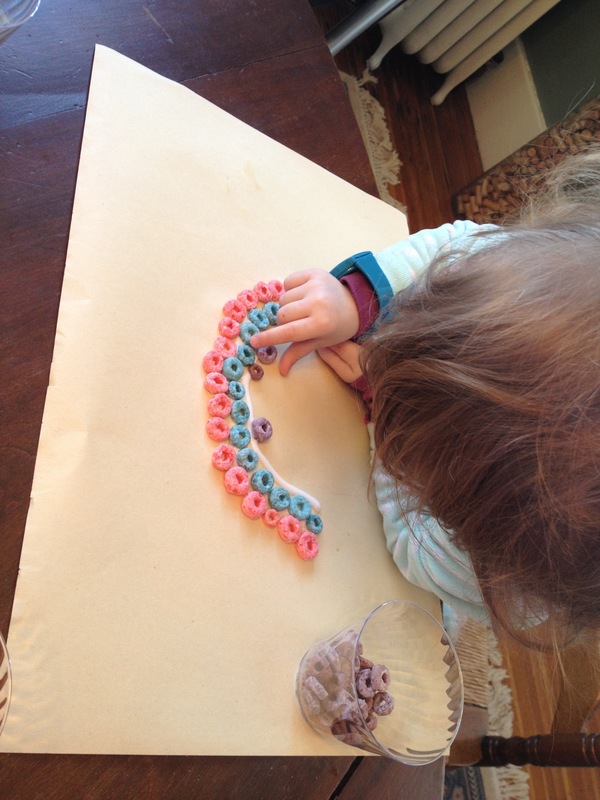 I put together two quick and easy activities that assist in the strengthening of color identification, sorting, fine motor and verbal skills. Create and label three separate categories. Add a corresponding color dot to each named category. 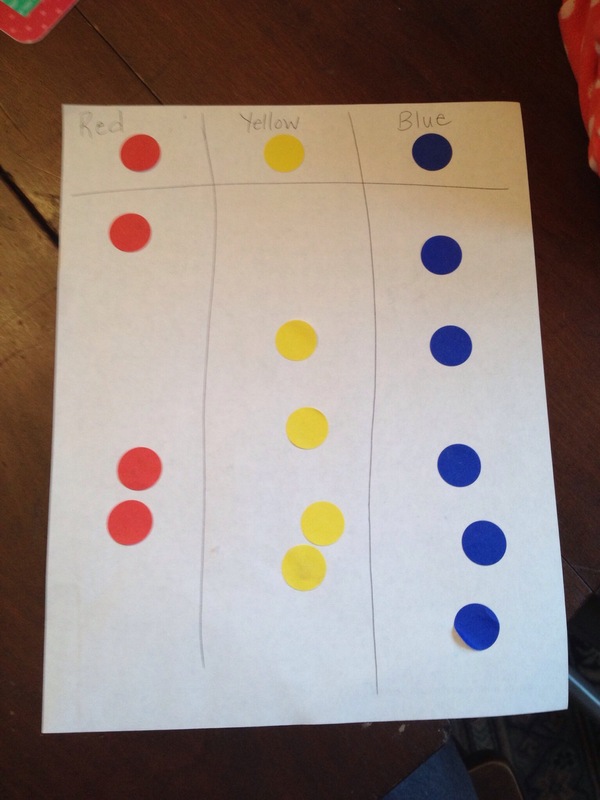 While pointing to each color, verbally say the name of the color to your child. Explain to your child what you are looking for them to do. If needed, place one dot, as an example. 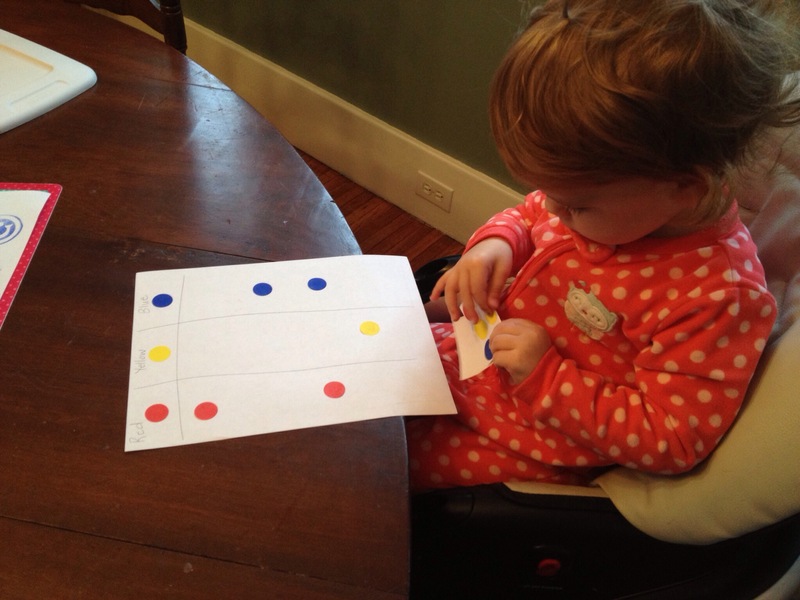 Give your child a sticker sheet and allow for them to peel and place circles in corresponding categories. Lend assistance when needed. I redirect Reagan when a color ends up in the wrong category. I say: is this blue circle, pointing to the sticker that she just placed, the same as this red circle? 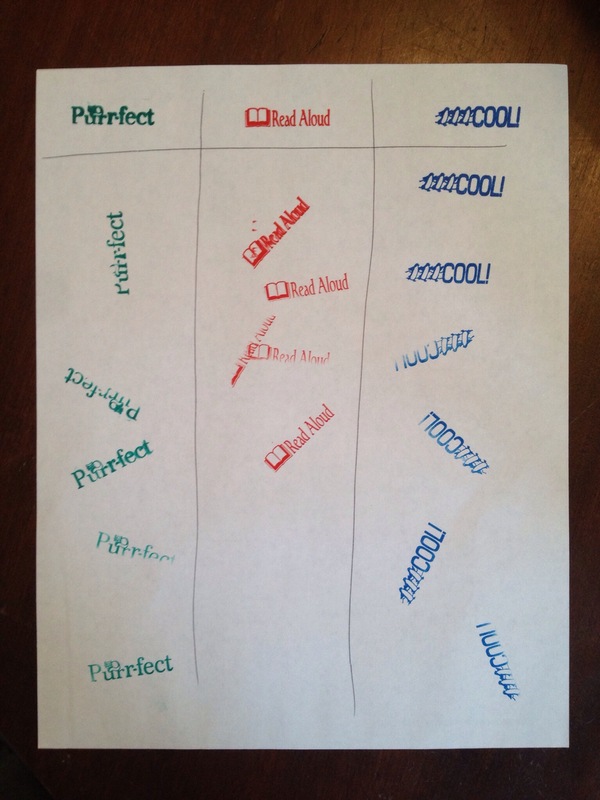 pointing to the color category that she placed her sticker in. 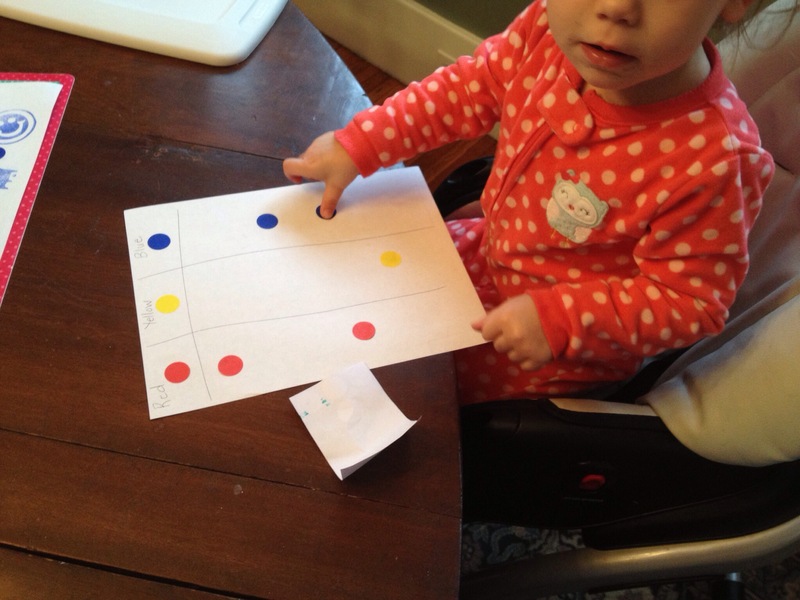 At this point she recognizes that the colors are not the same and moves the circle to the correct category. 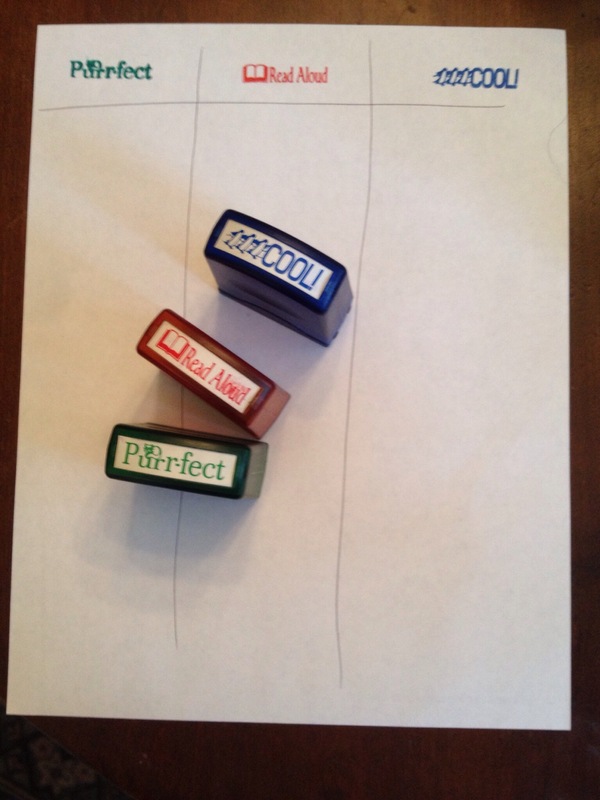 Create a category for each stamp. 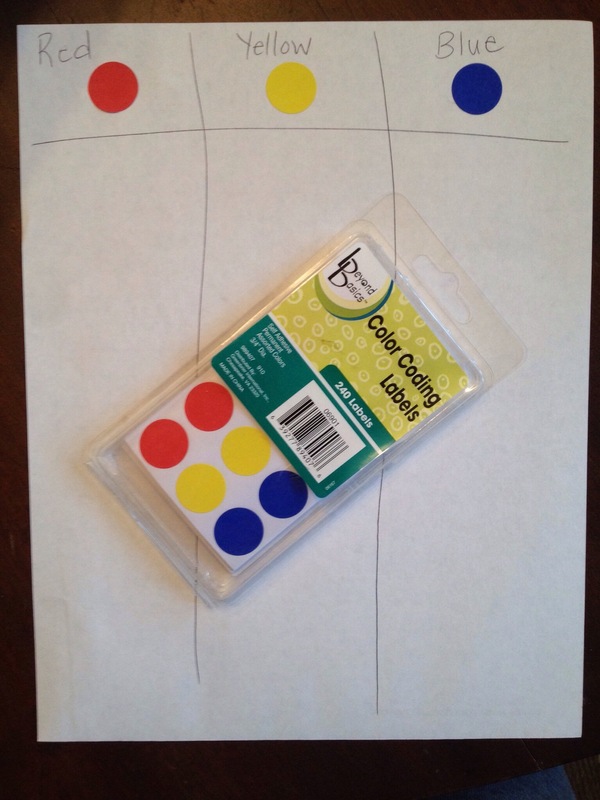 Follow the same directions as with the labeling circles. The only difference with the stamps is that once it’s placed in the incorrect category, it obviously can’t be moved. We just use a pen and cross out the misplaced stamps. 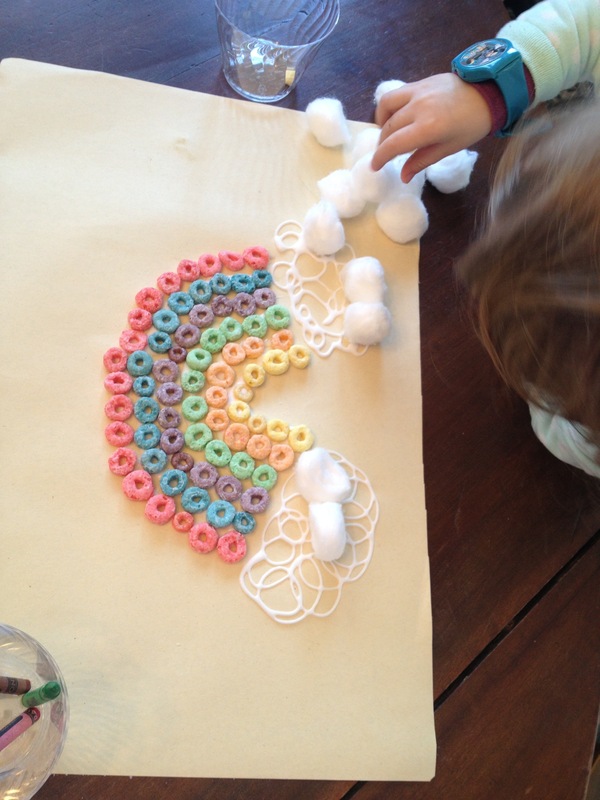 Fun activities that assist in the strengthening of several skills!